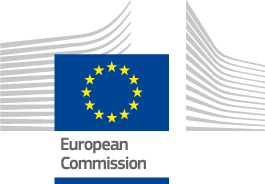 The TEQ partners have participated in the TEQ’s first Review Meeting on February 26, 2019 at the REA of the European Commission together with the PO and 3 assigned monitors. As a result, the Review Report came in and it makes us very proud. “The project does scientifically very well and according to project plan, without a need for corrective actions. Work, dissemination and outreach, and exploitation are so fare excellent […]”. “All required deliverables have been submitted and milestones are reached. They bring sufficient novelty and likely, they will have an impact on science and technology. Importantly, they represent solid ground for further steps”. Moreover, “Scientific quality of the results is high as clearly documented by several papers published in high-profile journals. Very likely they will have a sufficiently large impact on the scientific community of quantum physics, quantum optomechanics and fundamental physics”. “The project has clear impact on the researcher career of PhD students and PostDocs hired for the project and exchanged between the teams”. Finally, “for the first year there was excellent dissemination, in particular to non-experts, general public and students. There is a well-structured and clear website with the relevant information about TEQ”.